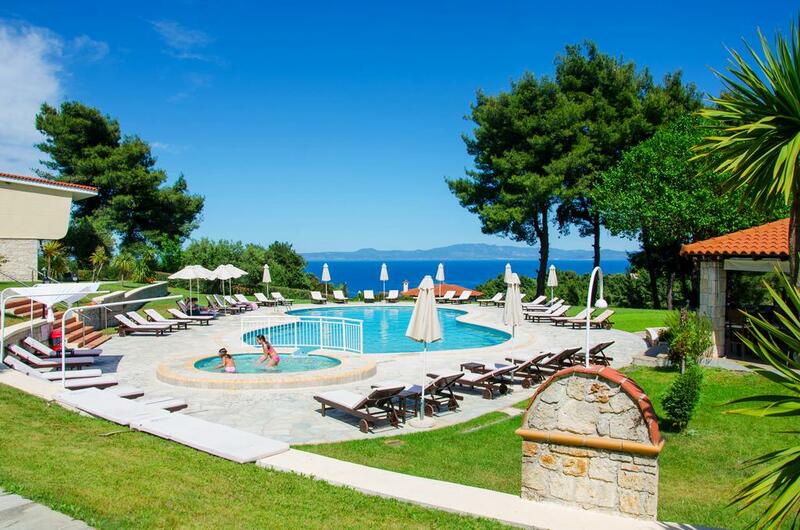 The Alkion is a boutique type hotel, situated in a panoramic area with wonderful pine trees overlooking the sea in the village of Kriopigi, around 600 m from the sandy beach. There is frequent transport to transfer the guests to the beach free of charge. Having an outdoor pool, ideal for a refreshing swim and a poolside bar for drinks and snacks, it also provides a separate kids pool and a playground area. Rooms are spacious and include a kitchenette with refrigerator, air-conditioning, hairdryer, Satellite TV and Wi-Fi. Free private parking is available on site and the bus stop is within 600 m.